Combining discourse and comparative historical methods of analysis, this book explores how colonialists and anti-colonialists renegotiated transnational power relationships within the debates on decolonization in the United Nations from 1946-1960. Shrewdly bringing together Sociology, Women’s Studies, History, and Postcolonial Studies, it is interested in the following questions: how are modern constructions of gender and race forged in transnational – colonial as well as ‘postcolonial’ – processes? How did they emerge in and contribute to such processes during the colonial era? 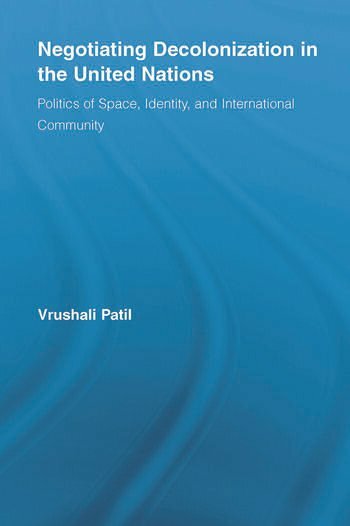 Specifically, how did they shape colonialist constructions of space, identity and international community? How has this relationship shifted with legal decolonization? Vrushali Patil is an Assistant Professor at Florida International University, where she holds a joint appointment in the Program of Women’s Studies and the Department of Sociology and Anthropology. She has a PhD in Sociology from the University of Maryland, College Park and is the author of "Gender Oppression."